It’s goodbye to the Conference and hello to the newly renamed National League, as the highest level of non-league football in England faces a rebrand for the upcoming season. With not long until the beginning of the campaign, we preview what will undoubtedly be another exciting season of football. Even with striker Lenell John-Lewis; who netted 18 goals for Paul Hurst’s men last season, leaving for League 2 side Newport County, Town will be ready after a busy summer. Impressive young striker Omar Bogle was one of many signings made by the Mariners, after a superb season with National League North side Solihull Moors, scoring 29 goals. It seems three times in a row is too many missed chances for fans as they have pulled together to raise money for the club to use in the transfer window. ‘#operationpromotion’ is the fan-lead fund which has raised over £66,000 for the manager to spend, which originally only had a £20,000 target. Not only this but a donation from the fan’s trust and £20,000 donation to add to final figure from local Euromillions lottery winners, means the signings will keep coming as the Mariners hope to not see another play-off final but push straight for promotion. New stadium or not, Rovers know they need to lay the foundations for a strong campaign. 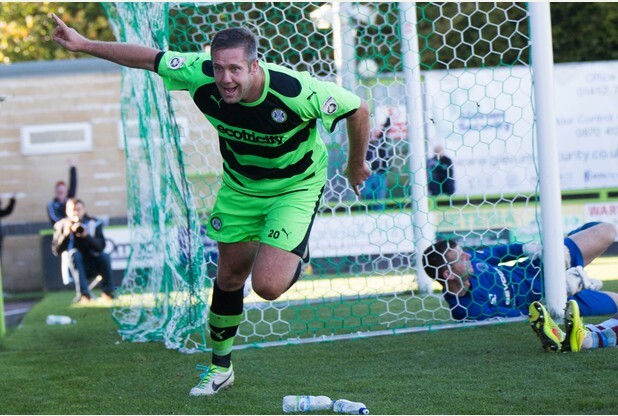 Striker Jon Parkin will play an important part in the season ahead as he did last year scoring 25 goals for Rovers; the league best. The former Preston and Stoke man has been unstoppable, especially in the latter half of the season, being awarded January Player of the Month. Not only this, he made the headlines for a brilliant long-range shot from just past the halfway line in the 3-1 win against Macclesfield Town. There will be new faces at the New Lawn this season as Adrian Pennock recruits talented, young winger Keanu Marsh Brown from champions Barnet, as well as forward Sam Yorke from Lincoln. Also joining Rovers is Newport County striker Aaron O’Connor who scored 11 goals in 42 appearances for the Exiles last season. He brings defender and familiar face Darren Jones with him, who hopes third time will be lucky as he returns to the New Lawn, looking to turn around Rovers poor defensive record. The Green Army had one of the worst records amongst the top five clubs for conceding goals last season. 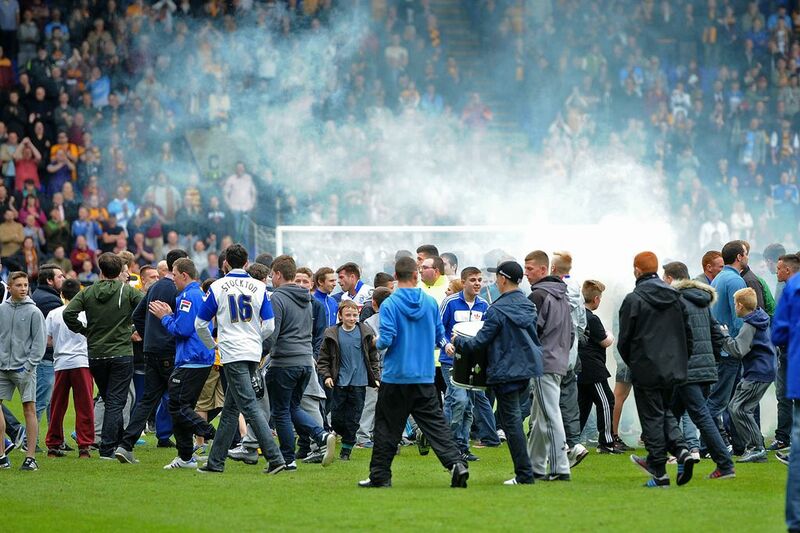 It was quite the contrast to the season Tranmere Rovers experienced last year. It went from bad to worse as Rovers faced two successive relegations out of League 1 and then out of the Football League. However, they are joint favourites with Grimsby to go straight back up with 5/1 odds on the Merseyside team. As one of the biggest names in the leagues and Prenton Park being one of the most hostile and daunting places for opposition to go, Tranmere will be hoping the bookmakers are right. Whilst there has been many outgoings including goalkeeper Owain Williams to Scottish side Inverness, Marc Laird leaving for new League 2 side Yeovil and the retirement of midfielder Jason Koumas, manager Gary Brabin has been busy bringing names into the club and he says he’s not finished yet. One such name is Andy Mangan who leaves League 1 bound Shrewsbury Town after one season and eight goals in 30 appearances. Speaking to BBC Sport, Brabin said: “He is a natural goalscorer and a local lad and a good character, so I’m sure he will fit into the squad very well.” Mangan is not the only signing from the league with goalkeeper Scott Davies and defender Liam Hogan both joining from Fleetwood as well as Ritchie Sutton and Martin Riley both arriving from Mansfield. Another club that knows what it has to do is Cheltenham Town, who suffered the same fate as Tranmere after 16 years in the Football League. 2014/15 was a season to forget for The Robins with four different managers and 23 defeats in 45 games. Nonetheless, they too seem to be experiencing a feel-good spirit around the grounds of the newly named ‘World of Smile Stadium’ as they hope they can put some smiles on the fans faces and return back to the Football League. Former Bristol City and Yeovil manager Gary Johnson looks to return Cheltenham Town back to the Football League. Cheltenham have become known as the ‘New Robins’ with an almost completely new side compared to what was seen last season. Johnson wasted no time removing the ‘dead wood’ from the squad and replacing with players to make a squad that had a balance of both youth and experience. His first signing showed what he was looking to accomplish with experienced defender Aaron Downes joining from Torquay, shortly followed by towering central midfielder Harry Pell and striker Danny Wright from Eastleigh and Kidderminster Harriers respectively. Gary Johnson was also able to attract a number of signings from the league, namely Jack Munns from Charlton and Jack Bartham from League One side Swindon, with both spending time at Tottenham Hotspur. Also joining the Gloucestershire Robins is striker Amari Morgan-Smith from Oldham Athletic and impressive, young winger Billy Waters from Crewe Alexandra. Goalkeeping duo Dillion Phillips and Calum Kitscha were also recruited in the 16 signings hoping to promote Cheltenham, with Phillips joining on a six-month loan from Charlton and Kitscha, an impressive prospect for the future and England C goalkeeper helping to fill the void left by Trevor Carson’s move to Hartlepool United. The main problem with the side that played at Whaddon Road last season in Gary Johnson’s opinion was a lack of quality especially in the final third and a lack of fitness. However with a new look squad that has both experience of the Conference as well as the pedigree from higher clubs in the footballing ladder, both fans and the former Yeovil boss will be hoping for no such problems this season, and promotion back to the Football League. It’s not just teams coming down that the likes of Grimsby, Forest Green and Eastleigh have to worry about, but also the teams coming up from the Conference North and South. Barrow earned promotion by winning the Conference North in a season where they were victorious in over 60 per-cent of their outings, including a nine match unbeaten streak in the early parts of the season. Barrow AFC celebrate winning Vanarama Conference North. Add to this signings such as young goalkeeper Joel Dixon who spent the early part of his career at Sunderland before spending time on loan in the Conference at teams like Boston and Gateshead, as well as Frenchman Mamadou Fofana who departs from Oxford United, Darren Edmondson will certainly be making sure they’re not there to make up the numbers. 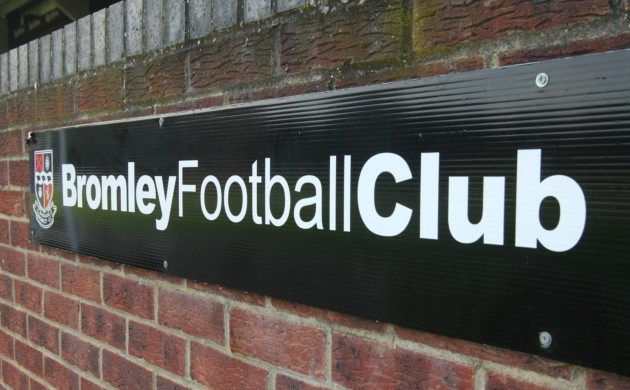 Their Southern counterparts, Bromley are also aiming for success in the National League Premier after an impressive season where the team from Greater London won over half of all their fixtures. Whilst offensively they were the best in the league alongside fellow promotion earning Boreham Wood with 79 goals, Mark Goldberg’s men lacked defensively. Mark Goldberg’s men will be hoping for a strong season in the National League Premier. Image courtesy of Bromley Times. However Bromley have looked to improve this and have recruited defender Aaron Tumwa, who spent his youth career at Watford as well as spells at Blackburn Rovers, and Sean Francis who comes over from Dover Athletic. 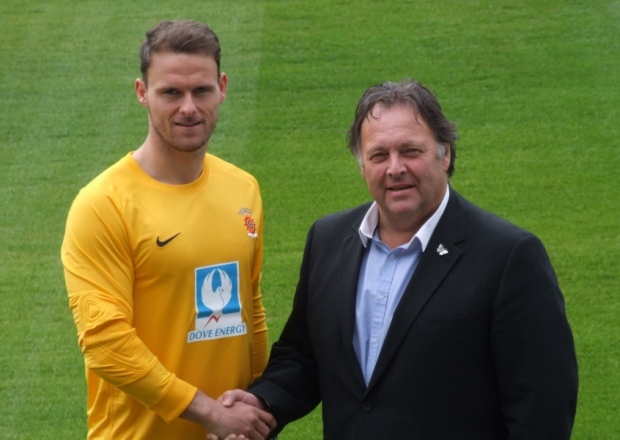 The improvements come to midfield too with the signing of Newport County duo Lee Minshull and Max Porter. All four teams promoted to the National League Premier will be hoping for a season far better than Welling United, who narrowly escaped relegation thanks to goal difference. The Wings experienced a tough season which saw the team hold a winless run of 11 games as well as the longest losing run in the Premier of eight games which spread from New Years Day, into March. 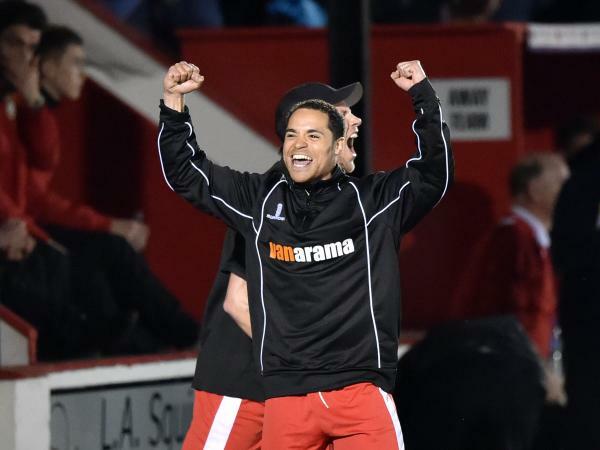 Player Manager Loui Fazakerley will be hoping for more chances to celebrate this season at Welling. Whilst their defence was stronger than relegated Alfreton Town, they were not prolific in the scoring department with teams like Barnet and Eastleigh scoring almost double the goals over the season. Supporters and fans alike will hoping for a better campaign this season with more goals and stronger performances both at Park View Road and away from home. With so many teams fighting for promotion into the Sky Bet Football League, and so many having viable chances at doing so, it certainly isn’t obvious who it will be. Can Grimsby break the cycle of reaching the play-offs but no promotion? 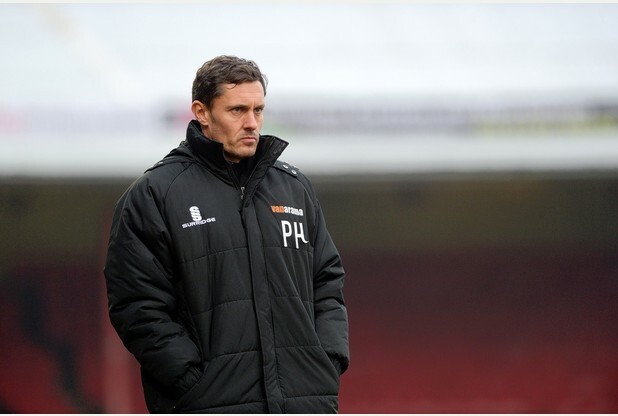 Can Forest Green progress further in the play-offs or achiever automatic promtion? Or can the two big name relegation teams, Cheltenham and Tranmere ‘do’ a Bristol Rovers and return after one season away? What is certain is we will have an entertaining and exciting season ahead to find out.